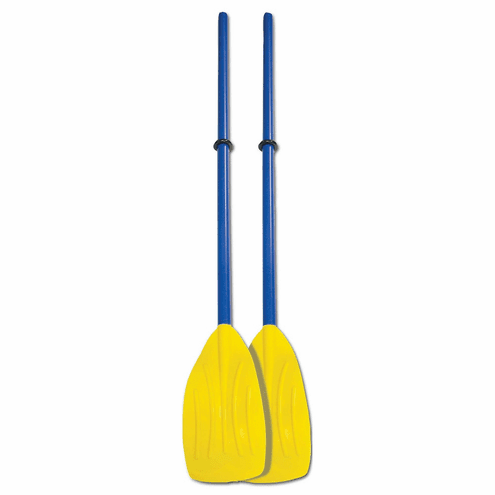 Set of two 3pc plastic oars. Easy to assemble. They can be used as individual 45" oars or easily converted to one 56" paddle.